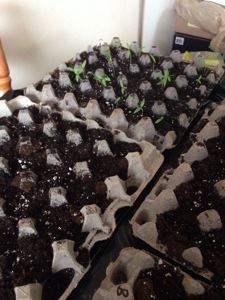 Katie and Tom’s Garden 2014! Once again this year we are attempting to grow some of our own produce in our backyard garden. 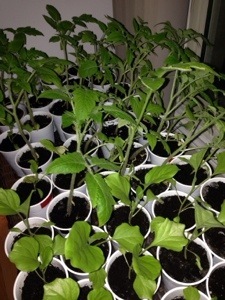 We started our seeds in February with dreams of wonderful tomatoes, peppers and even eggplants. I should say we started our garden in the fall when we planted our garlic that we then covered for the winter. It’s hard to believe that our second year of working with Orchard Hill Farm has begun! We are so excited to be partnered with Ken and Martha again and can’t wait to deliver more of their awesome organic produce to our customers.